Skagway sits at the very end of the Lynn Canal and is the gateway to the Klondike that was established during the great gold rush days. Its streets are bordered with wooden sidewalks and buildings with false fronts, which give Skagway the feeling of an old west town. 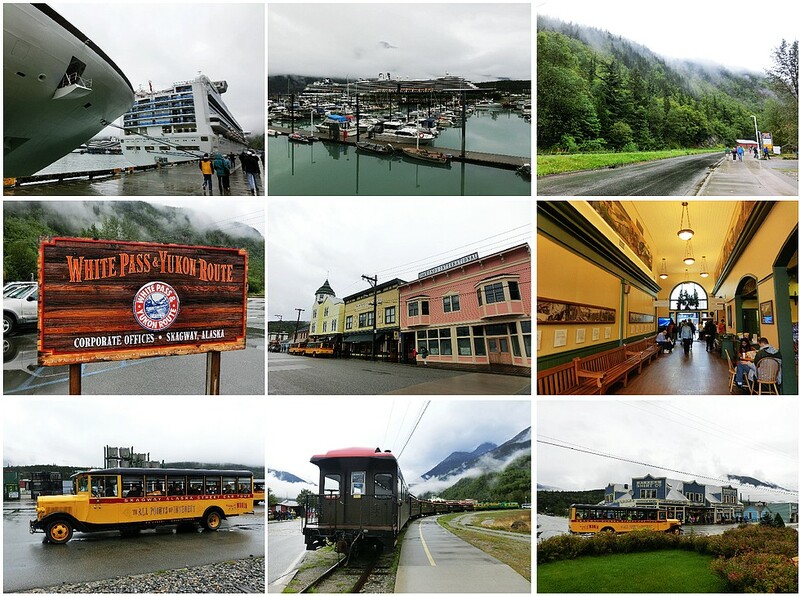 Given its colorful past, Skagway is fun to visit and an interesting place to explore. 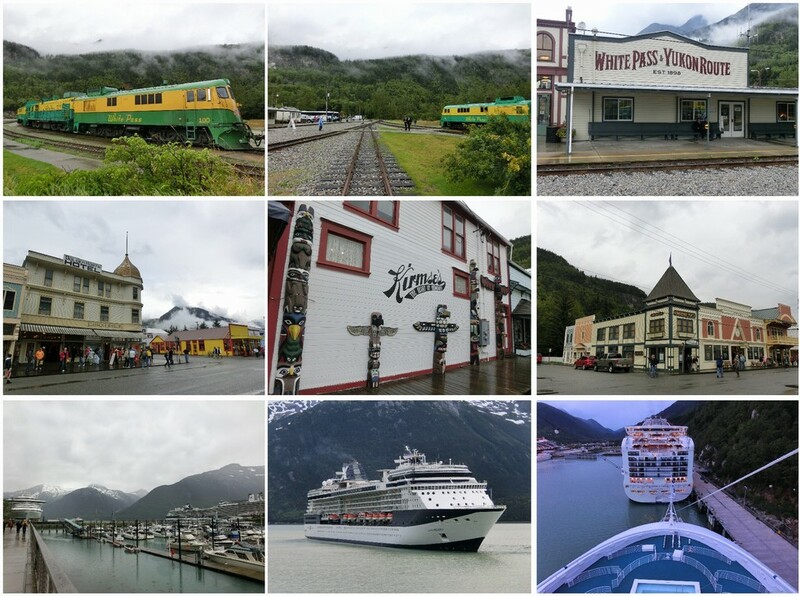 Skagway is also connected to the Alaska Highway system and this is where most cruise/tour passengers will depart their ship. Skagway's sunniest days are during the early summer (May and June) and then gets increasingly rainy. It can be cool when the wind is blowing so be sure to plan to dress in layers. There is lots to do in Skagway. First and foremost, the White Pass and Yukon Railroad was built at the turn of the century (1898-1900) to connect Skagway with Whitehorse, Yukon, Canada. Prior to the completion of the railroad prospectors would climb the White Pass Trail from Skagway up into the Yukon's promising gold fields. When one sees the terrain these prospectors had to traverse with all of their gear, it puts an entirely new perspective on just how rugged these folks must have been. The 3-hour round trip train ride to the top of White Pass is a wonderful adventure. Just about everything Alaskan you can think of is available in Skagway. In addition to gold, furs, local artwork, knock-knacks and miscellaneous trading post items, there are quite a few museums and other entertainment venues. There is a 7 block long shopping area right on Broadway Street in Skagway. Simply walk into town and then start up the street and you will pass shop after shop. There are also some shops on some of the side streets as well.